Food is my passion. Cooking and food fall in line somewhere behind my love of God, my kids, my husband…you know it is somewhere behind them. So I am always trying new spices, new flavors, new ways to cook and share my love of all things food and culinary with my family. I am also never afraid to experiment with flavors and foods, my family gives tons of grace in that respect. In addition to all of these things, I love to find products that are unique, responsibly sourced and fun. What I love about Arizona is that she never ceases to amaze me with all the wonderful surprises with shopping and her excellent taste in retailers. Oil & Vinegar is a worldly culinary shop located in my hometown at the Chandler Fashion Square. Showcasing small products, promoting their unique flair and preserving the care from traditional family businesses, Oil & Vinegar offers over 50 different exotic varieties of oils and vinegar’s on tap. The name might be deceiving, Oil & Vinegar offers so much more than oils and vinegar’s. From marinades to sauces, dressings to dessert toppings and a global variety of herbs, spices and rubs that are sure to spice up any dish. Oil & Vinegar also offers products that can accommodate any palette, dietary restriction and or allergen. 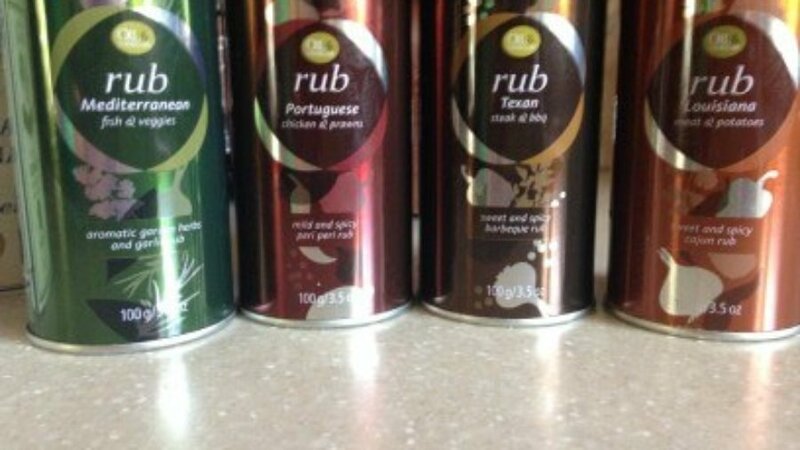 We were treated with a four pack of dry rubs Louisiana, Texan, Portuguese and Mediterranean. I planned a week of cooking around testing out each of these and I was not disappointed in the least! 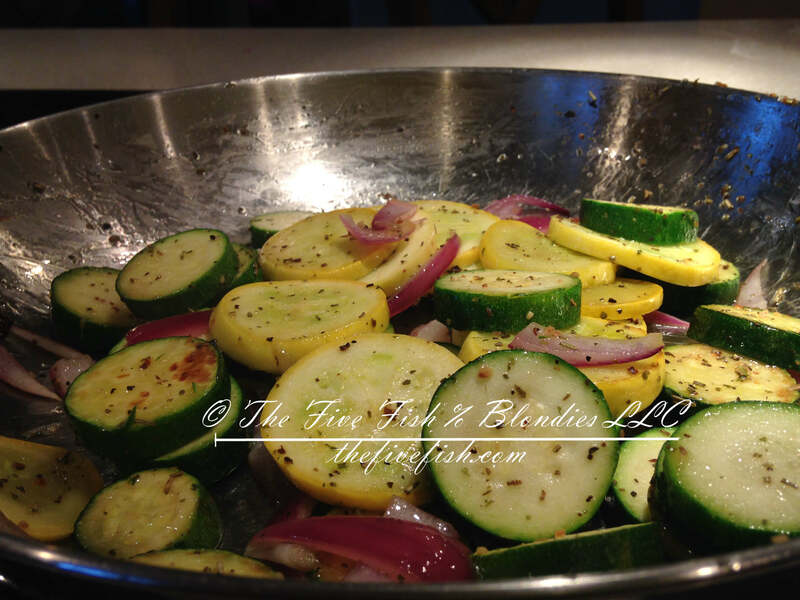 I found the Mediterranean to be a delicious compliment to my sauteed zucchini, summer squash and onions as well as mouth watering on a pork tenderloin. The Texan is a mouth watering BBQ flavor that is most excellent on chicken thighs. The Portuguese was mixed into our seafood medley with my homemade cream sauce, a light enough spice and full of flavor. Finally, I needed an idea for the Louisiana and saw that it is excellent on potatoes and was the packaging correct! My pan roasted red potatoes were devoured by my entire family with the Louisiana rub and the yams have been a favorite as well. A wonderful blend of spicy, salty and the sweet of the yams make for an excellent side dish. Oil & Vinegar also offers a wide variety of recipe options to choose from. Visit them on the web for great meal ideas and how to use their products in some of your favorite dishes for a truly magical culinary experience. Or visit any of their 20 locations in the US and Puerto Rico. Take advantage of their oils and vinegar’s on tap as well as the opportunity to taste almost anything and everything in the store! The rubs sound great. I like playing around with some seasonings but alas am married to a meat and potatoes man. He pretty much likes the same stuff. He wouldnt touch a sauteed vegeatable much less a sqquash of any kind. I like all the different tastes ! (Cooking with Oil & Vinegar) I like using olive oil a lot when I cook different things in our home. I will have to try out some of the vinegars next. Oooh Ive never heard of them before!! I will have to browse the site and check it out!! That Mediterranean rub sounds just amazing!! I really want to try these ideas now. thank you! Being from Texas myself, I would probably be partial to the Texas rub. That said, I’m not much of a cook myself and would have to make my husband do it — but it sounds delicious! I thank you for the facts on cooking with Olive Oil. I know I am switching over to this better alternative. I enjoy using rubs on my food, from vegetables and meat alike, I find it gives a delicious flavor to them.